If you have been musing about the misguided policies in SOPA and PIPA that generated protests, what do you make of misguided international governance of the Internet? This article in Politico raises an interesting possibility, that the ITU will assert itself into Internet governance, ostensibly to coordinate security and taxation across countries. As is well known, numerous countries would like to see this happen because it allows them to indirectly use the ITU to control pieces of the Internet. I bet the same people who protested SOPA and PIPA would view this decision-making body with about the same paranoia as Donald Sutherland in the remake of “Invasion of the body snatchers.” Like Sutherland, they will want to stay awake forever, lest the aliens come in while they are asleep and steal the independence of the Internet. (Alright, maybe that stretches the metaphor a tad, but you get the idea). Of course, there is a key difference. The ITU is one of those international organizations that does not have to answer to anybody in particular. None of its decision makers have to stand for reelection. None of the leaders have much to fear from any web-based protest. I do not know about you, but if the ITU sticks its nose into Internet governance I do not see this turning out well. Don’t get me wrong. I have met several people from the ITU over the years. All of them have been very polite and thoughtful and well-spoken. But that is still not the same as being held accountable. How would the Internet community react to more international governance, such as from the ITU? If I had to guess — and this not going out on much of a limb — the same people who mistrust a few Hollywood lobbyists with the text of a law about piracy will trust the decisions of many non-US governments even less. Will they bend their behavior to abide by a directive that emerged from negotiations between a government in Paris and a government in Bejing or Moscow? How about, say, Kinshasa or Caracas? Ya, right. I am just saying. 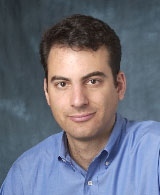 The same instincts that led Sergey Brin and Larry Page to defy Bejing — and, mind you, at some financial loss to their firm — are the same instincts that fueled the SOPA and PIPA revolt. These sentiments exist widely. It is nothing personal, nor foreign-phobic. These sentiments have been around for quite some time. For as long as I have been watching policy making in this space — which is approximately two decades — there has always been a big and vocal community who guards their independence. This community is thoughtful and a bit defiant, and, importantly, suspicious of any bottlenecks or concentration of authority. We reject: kings, presidents and voting. 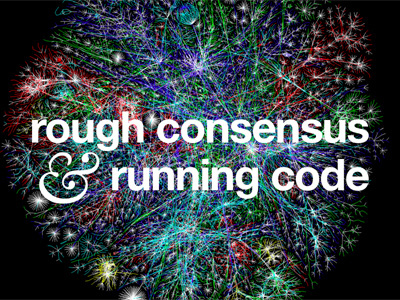 We believe in: rough consensus and running code. Sure, the venue for the recent protests is new, and so is the instrument for protesting. 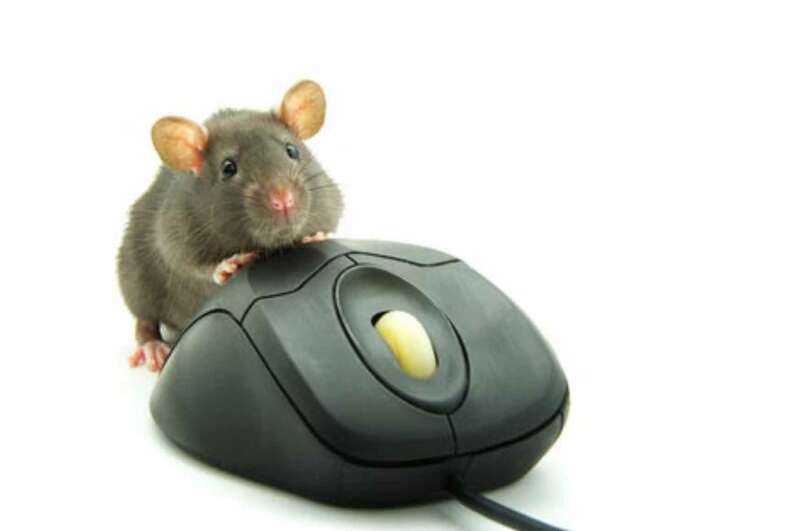 But read the online chatter about SOPA and PIPA. It has the same tone and sensibility, less revolution, more evolution in the target and means. The ITU would get as much revolt today as any other authority. Here is what I mean. Over the years various firms and authorities have become the target for this sensibility. More than two decades ago (in Clark’s speech) the targets were the largest telephone companies, especially AT&T in New Jersey and the global standards bodies trying to coordinate technical developments across countries in the early 1990s. Among the many concerns at the time, there was deep suspicion against the way any one decision maker would impose their interests too strongly, ruining the accomplishments of the community. These same instincts would resist the ITU, should it try to insert itself. Different venue, but the same protest. 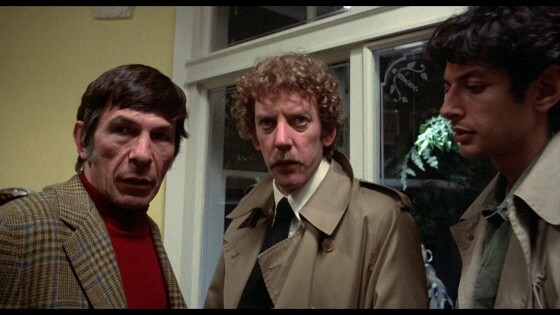 Donald Sutherland understood the problem with the defense in Invasion of the Body Snatchers. It means never going to sleep. Appreciate the comment. If this journalist is wrong, then that is useful to know. Thanks.